Kulzer Charisma Opal Flow 1x1.8g syringe, universal flowable light curing submicron hybrid composite. Charisma Opal Flow is the ideal completion of the Charisma-brand. Because of its very good controllable viscosity the minimal invasive tasks will be even more uncomplicated. Charisma Opal Flow stands for diagnosis-safe radiopacity and easy handling. With this addition to either Charisma Diamond or Charisma Opal you get everything you need for durable and safe restorations. Excellent handling properties: Charisma Opal Flow creates a uniform, smooth surface in areas of the cavity that are difficult to access. The flowable composite is applied in a non-dripping syringe and retains its shape and position following application. 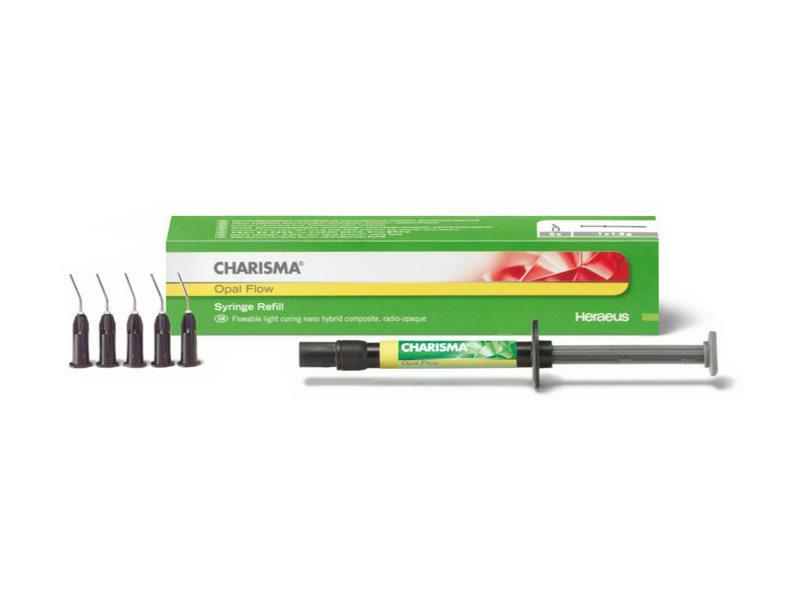 Naturally perfect, durable restorations: Charisma Opal Flow shows low shrinkage and high flexural strength for naturally perfect, durable restorations. The compact shade system with its 7 colours can be combined with all commercially available acrylate based composites. Safe diagnosis: The composite filling is easily distinguished from the residual tooth structure due to its excellent radiopaque properties. Charisma Opal Flow ensures an optimal, reliable diagnosis.